After assimilating Twitter and Facebook natively into iOS in recent years, a recent report indicates that the next version of iOS will similarly integrate Flickr and Vimeo. The report, from 9to5Mac, claims that users will be able to log in to their Flickr and Vimeo accounts via iOS 7's settings menu - the same way users can integrate Facebook and Twitter accounts right now. Moreover, it is likely that third-party apps will be granted access to Flickr and Vimeo services using integration with the iOS. Reports also claim that Apple and Yahoo (owner of Flickr) are working on developing a deeper partnership for the iOS 7. Users from now on will have access to uploading photos and videos from the iOS photos app to Flickr and Vimeo, much in the way users can share photos and videos directly to Facebook and Twitter. 9to5Mac also points out to the fact that there could be a possibility that Apple could back out of integration with the iOS 7 if the services are not all set for prime time. 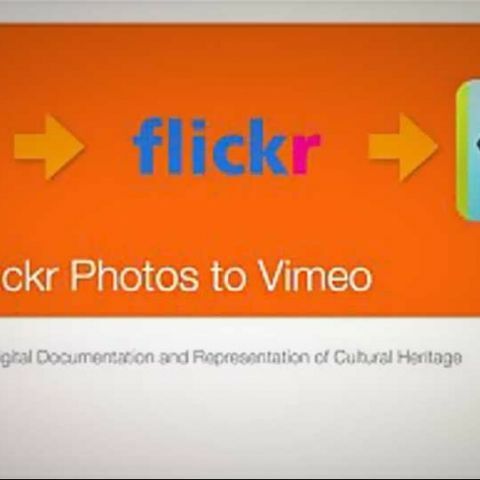 Integration with the iOS could be an advantage for Flickr and Vimeo as it can increase their user base to larger scale. Yahoo's recent revelation of a complete revamp of the Flickr service , including one terabyte of online photo storage for free to users. Uploading photos and videos instantly can from all iOS devices is one way to make optimum use of the storage. Android has an edge over the iOS as it has the ability to offer prompt, system-wide integration with any app or service, allowing users hassle free content sharing anywhere. If iOS is successful in gaining Flickr and Vimeo integration, it could compete with Android and bring them closer to what Android already offers. Which IOS is available with IPHONE 5S? I have heard that phones could be charged with scrubbing it with the foil of Indian currency.is it true ?